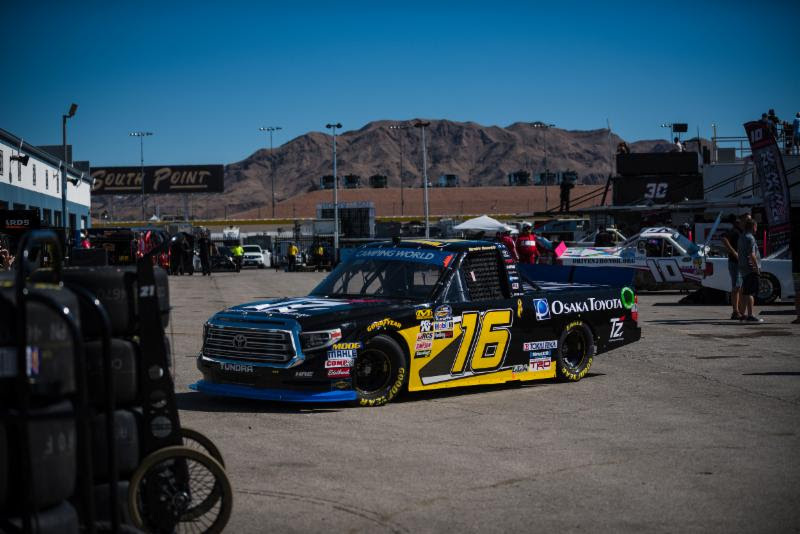 Moffitt turned in a solid qualifying effort on Friday afternoon by posting the ninth-fastest lap in single-truck qualifying. 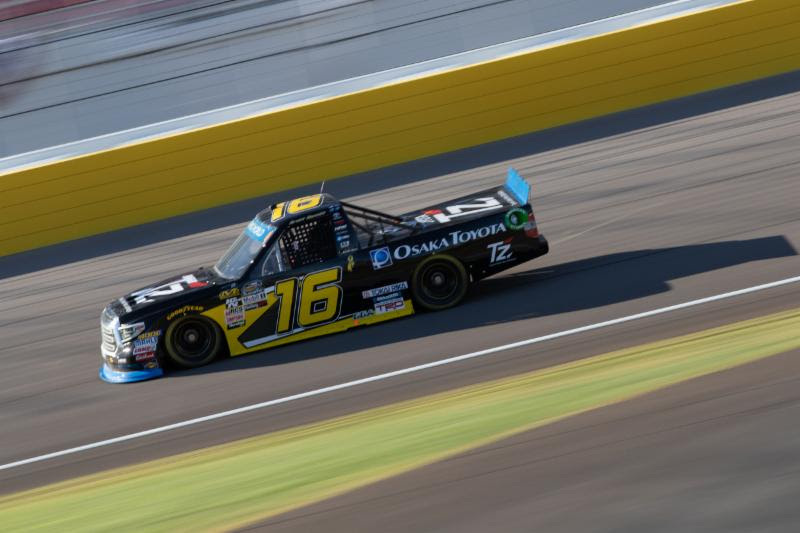 From the drop of the green flag, Moffitt combated an ill-handling balance with his Osaka Toyota, TZ Toyota Tundra. 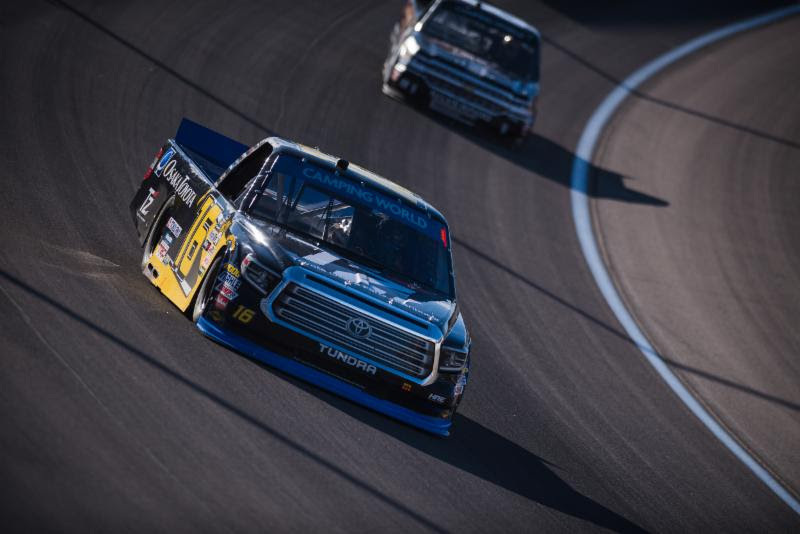 Early in Stage 1, Moffitt reported his Tundra was “plowing on exit” of both corners and lacked front grip over the bumps. The handling prohibited a march to the front and kept Moffitt in 13th at the end of Stage 1 on lap 30. Crew chief Scott Zipadelli made sizable adjustments during the caution, including a left rear spring rubber and wedge to go along with four tires and fuel. Moffitt’s balance improved, but handling issues still persisted in Stage 2. He told the TZ, Osaka Toyota team that the balance had improved by “30-50% max” and began to make progress towards the front of the field. Moffitt rejoined the top-10 by lap 54 and collected a point at the end of Stage 2 on lap 60 by running 10th. A lightning-fast, four-tire stop with air pressure adjustments by the HRE team gained Moffitt several positions and restart seventh on lap 68. A wild restart shuffled Moffitt back to 16th, but he immediately clawed his way back to the top 10 on lap 90. Moffitt started to flex his muscle in the final stage and entered the top-five on a lap 104 restart and began to threaten the race leaders. 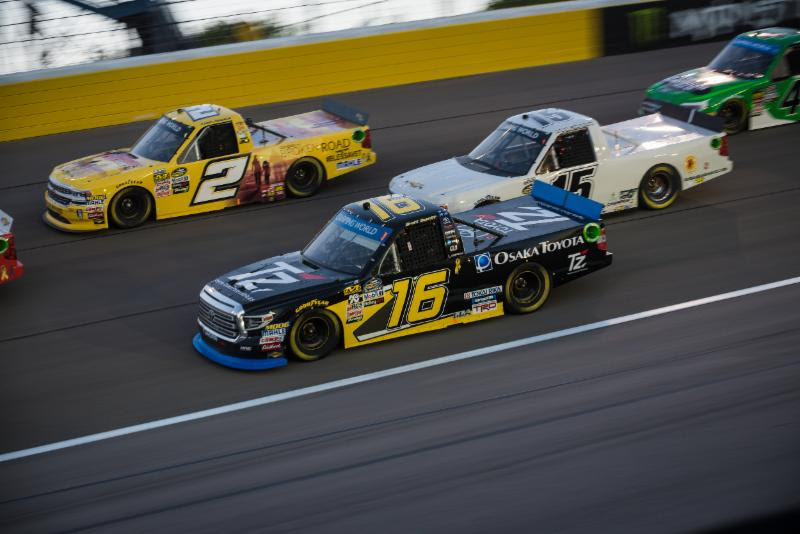 A lap 117 restart allowed Moffittto make an aggressive move for third position, and he perfectly executed a three-wide move for the lead on the following restart at lap 125. 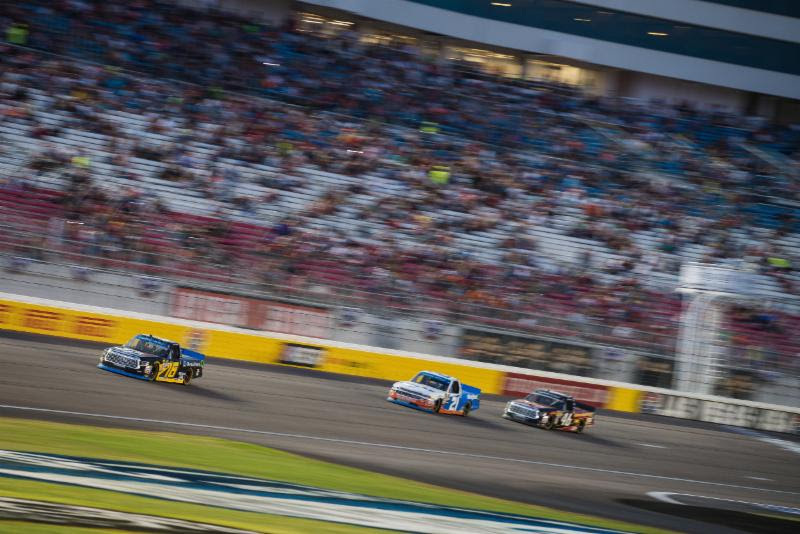 Moffitt held the lead through two overtime restarts and came within mere feet of taking the white flag, but two caution flags set up a third OT restart. Moffitt reported his fuel pressure gauge flashed under the final caution which caused the engine to stumble on the lap 144 restart. Moffitt regained his momentum and took the checkered flag to finish 11th. 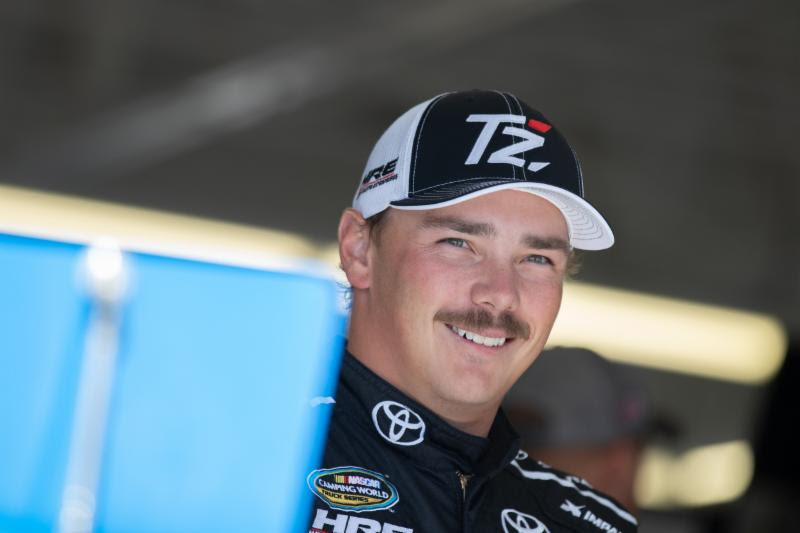 One race remains in the opening round of the NCWTS Playoffs at Talladega Superspeedway. Moffitt sits fifth on the Playoff Grid, 18 points ahead of the cut line. "We just ran out of fuel. We didn't have enough under caution. I was trying to swerve it back and forth to keep the pickup box full. We were supposed to be a few laps to the good, so it shouldn't have been an issue. It's a bummer when I'm a hundred yards from the start/finish line and I see him somewhat throw the white (flag) and then throw caution. Then we have (the fuel issue) happen. So, it is what it is."